Cultivating curiosity, wonder and imagination is what defines our ability to create and be the artists of our lives. What an empowering concept! Imagine a world where relationship art, connection modeling and cooperative culture are esteemed community qualities. Imagine a world where peacemaking and mentoring are embedded and supported in the culture for everyone. Imagine a world where people come together for group projects to make our lives more light and beautiful. 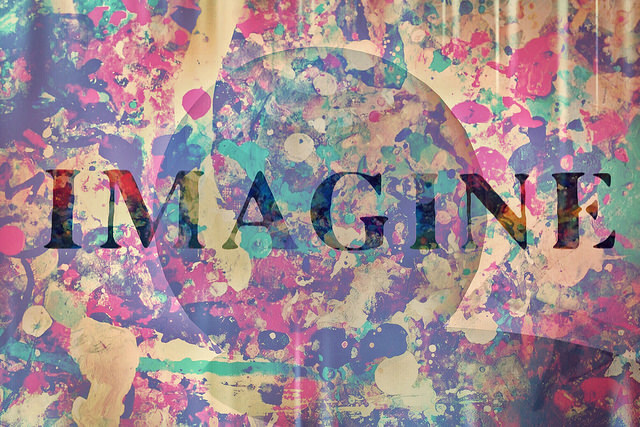 Imagine a world where creativity is nurtured, where art and music are celebrated. Imagine a world where the community glue is celebration, ceremony, deep play, deep nature connection. Imagine a world where you live with other environmentalists who are passionate about preserving the biosphere for the next seven generations and take daily steps to ensure that. Imagine a world where food is organic/biodynamic, where farmers are celebrated and the food is known as healing and nourishing for wellness. Imagine a world where challenges are resolved by group-generated solutions, embracing the gain in maturity, conflicts resolved, role-modeling intact. Imagine a world where Elders still want to contribute, mentor, read to children, share wisdom and skills with youth and families. Where you can grow old surrounded by friends who know, love and support you. Imagine a world where parents with children can be surrounded with instant “aunties”, “uncles” and “grandparents”. Where parents are supported emotionally. Imagine a world where children have a curiosity for exploration, learning from the natural world of patterns and connection, and encouraged to pursue passion. Where they are allowed to unfold in their timing. Imagine a world where adolescents, searching for the personal expression of their unique gifts are mentored to find them, then assisted with seeing paths to give those gifts into the community. Imagine a world where adolescents who are butting heads with parents and need to spread their wings, can live in a safe learning environment, where the parents can watch from a distance with confidence. Imagine a world where young adults can work, train and gain expert skills in cooperative businesses, powerfully launching into independence with the life skills to be successful. Imagine a world where workers own their businesses and with integrity, deliver extraordinary quality. Imagine a world where mothers can give birth with confidence, surrounded by wise women, in a safe supportive environment. Imagine a world where one can approach death with confidence, and die consciously with dignity, at peace, with caring loving support. Imagine a world where we co-create the more beautiful world that we know is possible.